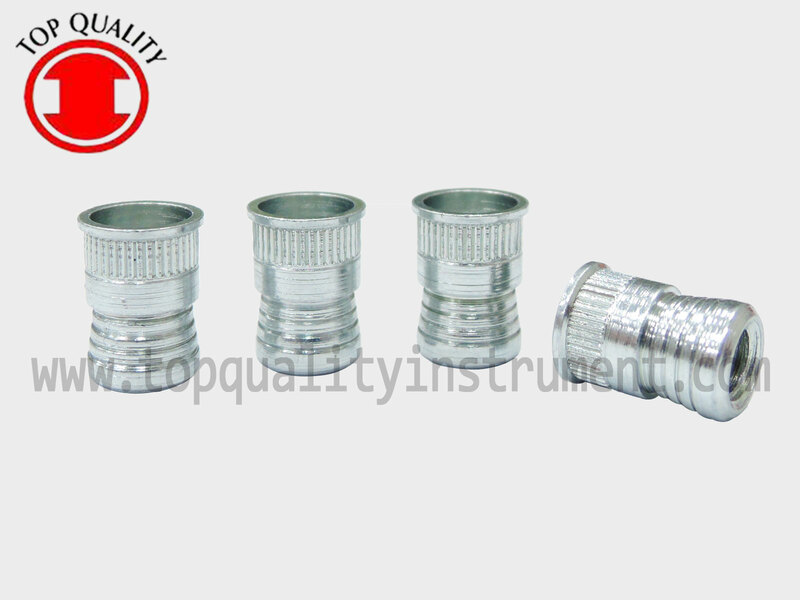 Knurled Thread Insert | Top quality instrument inc. APPLICATION: ST series Threaded insert is commonly used in any industry including automobile industry. ST series Threaded insert is designed to be installed in the small space. 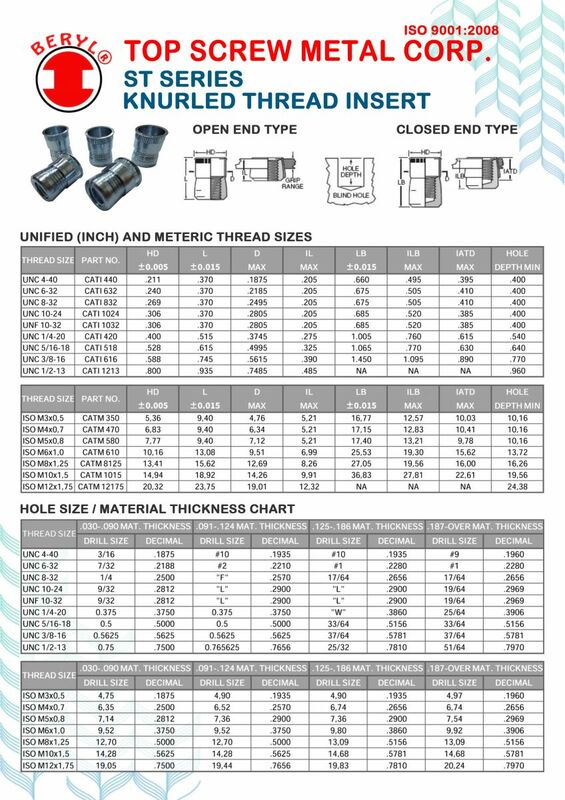 The body length after riveting is shorter than any standard type of blind rivet nut. The head of insert can press tightly against surface of application.